A conjunction is the most intimate relationship two or more planets or objects can have with one another in astrology. Planets which are found in the same sign as one another share a kinship in that they are ‘with’ one another, in much the same sense that people who are in the same room are with one another. Planets or points which are conjunct together and in the same sign are even closer than this and metaphorically represent couples or family members in the same room. These relationships are the closest that can exist because they are a fusion of separate principles into a single whole – a synthesis. The magic of this relationship is the basis of the synthetic astrology of ‘The 26 Keys’. It is also important here to point out that when astrology measures conjunctions (or any aspect) it is usually only measuring the position of planets in the tropical zodiac which is a zone demarcated by the Earths orbit of the Sun. This measures the planets through a horizontal plane of space degrees of the zodiac, or position along the ‘track’ the Sun makes in the sky over a year, but it does not measure them in a vertical plane (declination north or south of the equator). This means that planets in conjunction in the tropical zodiac are in the same general region of the ‘track’ that runs through the sky but not necessarily in the same spot viewed from Earth – one could be above or below the other, or some way off to the side. They need to be in parallel as well as in conjunction to be visibly next to one another in the sky. When this happens with the Sun and Moon, there is a solar eclipse. A further factor which determines how powerful and effective a conjunction aspect can be is the dignity of the planets involved. 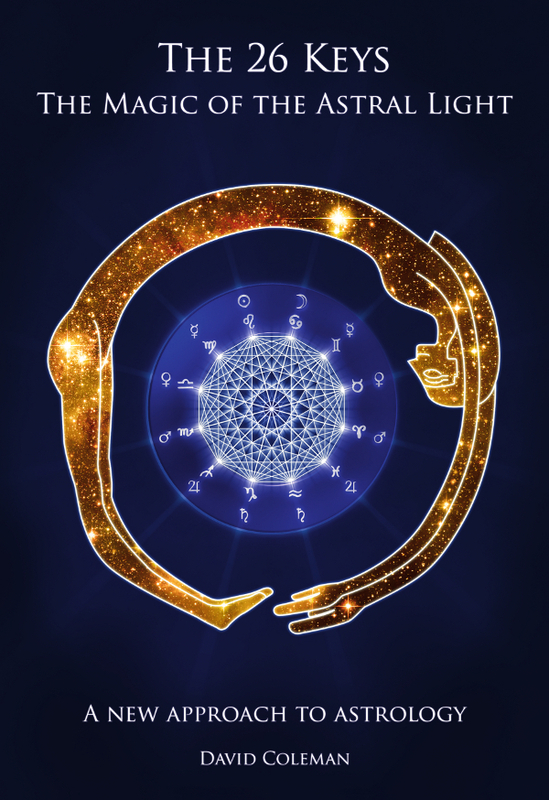 If the planets dignities are strong then they will produce a greater quantity of effectiveness and the aspect will be more conventionally expressed and well supported, we will feel more familiar with it too. Conversely a lack of dignity will dis-empower the conjunction, or favour one side over the other. The Sun gains its strongest dignity in Leo and Aries, while the Moon gains it in Cancer and Taurus. All things being equal, for a New Moon the Sun will dominate during the day and the Moon during the night. Aspects can generally be placed in either a Magnetic form building (trine, sextile) or Electric energy releasing (square, opposition) category. Since a conjunction is a fusion of principles, its essential quality is Neutral and concerned with synthesis. Aside from this it has no other inherent nature, and is neither a form building nor energy releasing aspect, but often both, and its qualities will be largely determined by the essential nature of the planets involved, their signs and any other aspects which are made to the conjoined pair. Some planets conjoin together more easily (in human terms) than others, some imply a form building quality when fused and others an energy releasing quality. When the Lights are conjunct they are dynamically energy releasing in nature and become even more so when they are in Fire and Air signs during the day. If the Moon is the more dominant partner in the conjunction the aspect will be in Water or Earth and during the nighttime, the then the conjunction takes on a form building character. The almost universal problem of a conjunction is that we are unable to separate the conjoined principles from one another: where one exists the other is also, and so we cannot distinguish between them easily. This means that in terms of magical initiation part of our work will be to separate out these principles so that they can be examined individually and then conjoined together again into a more expressive and well integrated whole. The times when this will be forced upon us by circumstances are shown in our keys (the principles involved in the conjunction). The conjunction is also a store of power in much the same way that two beings increase their power when they unite. Conjunctions show planets which are reinforcing each other within our energy field. The collecting and merging together of 2 planets (sometimes more) creates a locus of energy in the chart, increasing that areas significance for us. This has varying and numerous effects on the astral and mental planes and on the expression of the conjoined planets – every conjunction is different and its essential nature depends on the nature of the conjoined planets in relation to the context of the whole chart. The New Moon is the beginning of the Sun-Moon cycle which lasts about 28 days. At the beginning of this cycle the Electric and Magnetic Fluids are more mixed together and cannot be easily separated, in other words it is a stable ElectroMagnetic field around the Earth. As time moves on and the Moon begins to appear again after emerging from the light of the Sun she builds up her energies, accumulating a greater Electric charge, with the greatest amount of accumulation occurring around the First Quarter Moon (the waxing half-Moon) when she is about 90° away from the Sun. This charge continues to build until the Full Moon, whereon the Magnetic Fluid and the Electric Fluid are fully ‘separated’ and attract each other across the conductive surface of the Earth, creating a powerful ‘high tide’ for both Fluids. The Moon then begins to discharge Electric Fluid rather than gather it, with the greatest discharge occurring near the 3rd Quarter Moon (the waning half-Moon) when she is again about 90° away from the Sun but growing dimmer. As she grows in darkness She then rejoins the Sun at the New Moon where she is recharged and the cycle begins anew. This happens once or rarely twice every month, with the Sun and Moon usually being in different signs each time the New and Full Moons occur. Once again, such a thoughtful piece! Thank you. I seem to connect with so many other conjunction types (I have 7 planets + the descendant within 48 degrees in my chart). The most recent chart to come my way, has 7 planets + vertex within 40 degrees. This seems to resonate with alchemical operations! Character transformation is personal alchemy. Reminds me of cooking… conjunctions make me think of how flavors can be enhanced or masked by the addition of new ingredients. They all uniquely “play” together, somehow. yes, great comment, got me hungry now!